Google has been banging the drum for speeding up mobile websites for what seems like forever now, and they’ve released numerous tools to try to help webmasters do just that. This week, at the Mobile World Congress in Barcelona, the search engine announced two more resources to show websites how they are performing – a new “Mobile Scorecard” and Conversion Impact Calculator. The Mobile Scorecard uses data from the Chrome User Experience Report to compare the speed of several sites on mobile. This allows you to directly compare your site against your closest competitors in a race for the fastest website. According to Google, the Mobile Scorecard can give information on thousands of sites across 12 countries. Even if you’re the leader of the pack, Google recommends making sure your site loads and becomes usable within five seconds on most mobile devices and within three seconds on 4G connections. Of course, the biggest thing keeping most businesses from enhancing their websites for mobile devices is money. To help sway you towards making the investment, Google is launching the new Impact Calculator which shows how much revenue you could be missing out on because of a slow loading speed. The calculator uses data from The State of Online Retail Performance report from April 2017. This report found that every second it takes for your web pages to load can hurt conversions by up to 20 percent. The tool calculates your potential lost conversion revenue based on your average monthly visitors, average order value, and conversion rate. Both the Mobile Scorecard and Impact Calculator are available to check out here. Google is bringing its super-fast Accelerated Mobile Pages to email the company announced this week. During its conference in email, the company unveiled that developers can now take advantage of the mobile-friendly AMP framework when developing emails for Gmail. The decision gives people the ability to create faster, sleeker emails with a higher level of interaction than typically possible. Users getting more done in less time without having to leave email. For example, say an external contractor wants to schedule a meeting with you but can’t see your calendar, so they send an email to get information on which dates and times you’re available. Within the email is a form to coordinate details. Thanks to AMP for Email, you can respond interactively through the form without having to click a link and redirect to another webpage. AMP for Email could also help you get more done in less time by allowing you to quickly RSVP to events, browse and interact with listings and campaigns, or fill out a questionnaire without ever leaving email. AMP for Email does require a higher level of expertise to use, since it takes knowledge of coding to build emails with. Still, with a bit of work and some knowledge, the incorporation of AMP into email opens the door to many exciting possibilities for email. 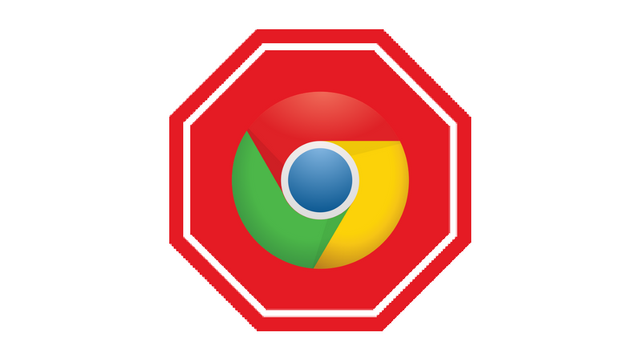 Starting today, Google’s own web browser will start blocking troublesome ads across the net. The company has been warning they would be launching their own ad blocker since last June, and has officially started rolling out. By default, Google’s Chrome browser will remove ads from sites that use disruptive ad techniques. The built-in ad blocker is designed specifically to filter out ads on any sites that repeatedly show offensive or disruptive ads. These include a wide swath of frequently used ad techniques including pop-ups, prestitial ads, and flashing banner ads. Google is using the guidelines laid out by the Coalition for Better Ads (CBA) – a collective of advertising and media companies such as Facebook, Microsoft, and Unilever. Rather than just block the offending ads, the tool will instead block ALL ads on any site that has broken the rules repeatedly. That means, all ads get stripped away is a publisher continues to let intrusive ads persist on their site after a warning. Chris Bentzel, engineering manager for Chromium (an open-source version of Chrome), says Google is using this approach because webmasters are largely in control over what ads they choose to display. “Although a few of the ad experiences that violate the Better Ads Standards are problems in the advertisement itself, the majority of problematic ad experiences are controlled by the site owner — such as high ad density or prestitial ads with countdown,” said Bentzel. According to Bentzel, Google’s mission isn’t to block ads at all. They want to encourage webmasters to clean up their sites and deliver quality, unintrusive ads (like those offered by Google AdWords). According to The Guardian, approximately 42% of sites that have received warnings from Google ahead of the ad blocker have since altered their ad displays. Why start blocking ads now? The news that Google was designing its own ad blocker raised eyebrows when it was first announced. Considering Google runs perhaps the largest ad platform online, it is a bit like the pot calling the kettle black for the search engine to complain about ads. More likely, the decision to launch an ad blocker of their own was motivated by the growing use of third-party ad blockers across the internet. While some ad blocker companies have partnered with Google to “whitelist” the ads from the search engine, many also strip out ads published from AdWords. This cuts into Google’s potential ad reach and can cause ad spend waste in some cases. “We’ve already seen more and more people express their discontent with annoying ads by installing ad blockers, but blocking all ads can hurt sites or advertisers who aren’t doing anything disruptive,” said Roy-Chowdhury. Estimates from PageFair indicate approximately 11% of internet users have third-party ad blockers installed. “By focusing on filtering out disruptive ad experiences, we can help keep the entire ecosystem of the web healthy, and give people a significantly better user experience than they have today,” Roy-Chowdhury said. For now, Google estimates its ad blocker will only affect around 1% of all ads. So, don’t get your hopes up for an ad revolution. Most users are unlikely to notice a huge change online, and only those who are most egregiously abusing the rules are expected to be hit. 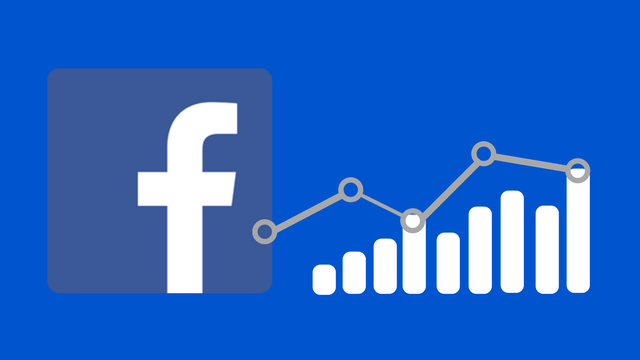 Facebook is making some tweaks to Page Insights that might make Page owners a bit frustrated but are actually valuable changes in the long run. 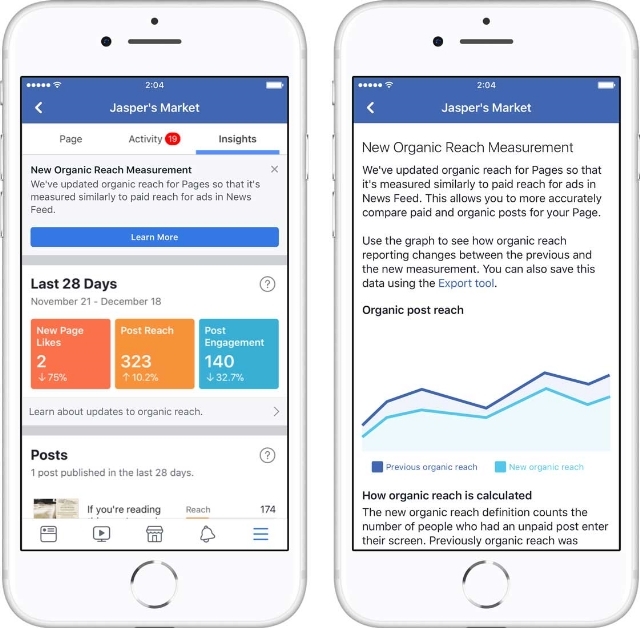 The biggest update is in how Facebook will calculate organic reach for content. In the past, reach has been measured based on how many times a post is loaded by a user’s device. However, this caused an issue where posts were counted as “viewed” despite never actually making it onto a user’s screen. Now, Facebook has begun calculating reach based specifically on when a post is shown on a person’s screen. That means your view counts are likely to drop in Page Insights, but you’re only losing false-impressions. The numbers you’re seeing now are a more accurate and consistent measurement of how often your content is being seen. 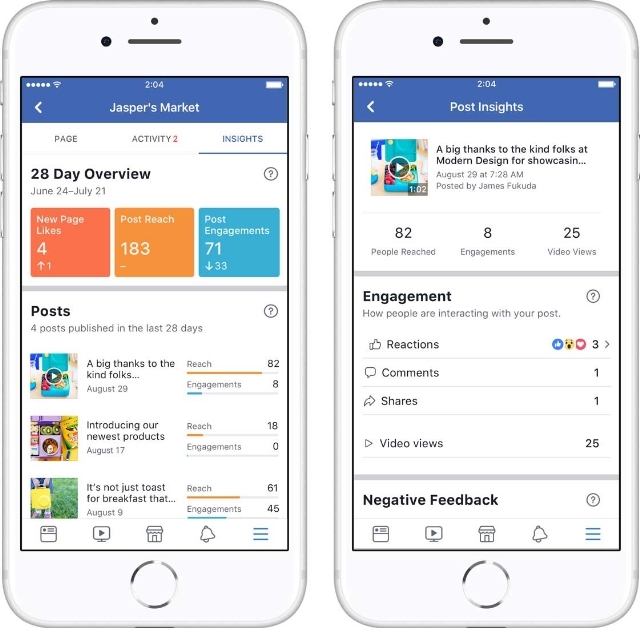 To help Page owners and administrators get used to the shift, Facebook is still showing the old metric in the Page Insights overview section. It is unclear how long it will remain present there. 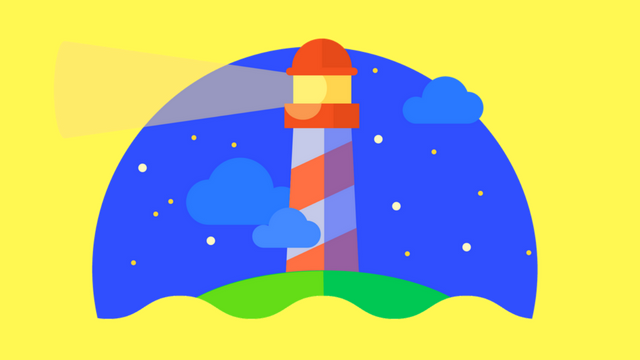 The Lighthouse extension is adding SEO audit metrics that make the tool an easy and fast way to see how Google perceives your website and what needs a tune-up. The browser plugin already contains audits for things like performance, progressive web apps, accessibility, and Google best practices, but the inclusion of SEO metrics make it an all-in-one way to review your website’s performance. Of course, Google isn’t giving away everything with their tool. It only contains ten of the estimated hundreds of ranking factors, which Google seems to view as most-essential for the average webmaster. Google notes that they expect to add more metrics in the future. The Lighthouse extension’s SEO audit feature isn’t an elite-level tool that takes hours to learn and understand. It is a quick, brief overview of just a few of your site’s SEO signals that might reveal some of the basic things you’ve been overlooking or neglecting. If you haven’t used it, I strongly recommend giving it a try and checking out your site through Google’s eyes. 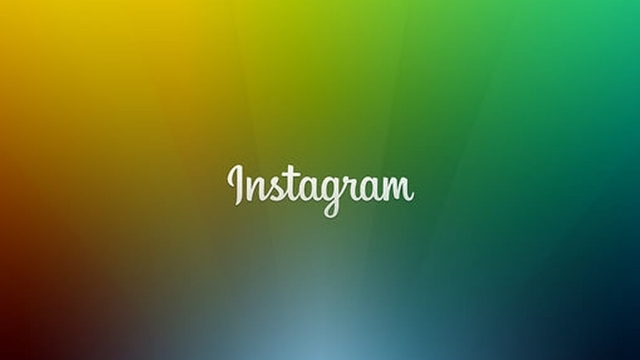 Instagram has introduced a new way for brands to tell their Stories, with expanded photo and video carousels. In the past, brands could only include a single photo or video in their Story ads. Now, a limited number of advertisers can triple that with three consecutive photos or videos, as the company announced today. For now, the expanded ad unit is only available to 12 brands, such as California Pizza Kitchen, Netflix, and Paramount. 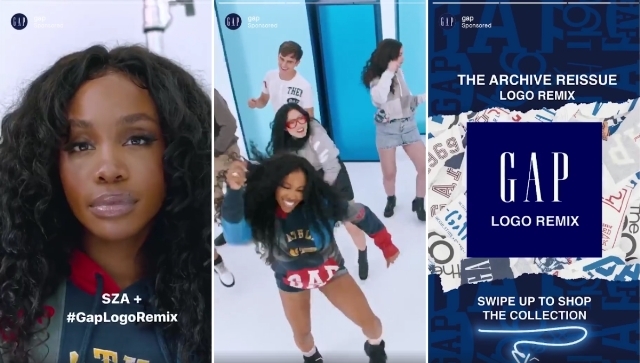 However, it is also opening the format, which it is calling “carousel ads for Instagram Stories” to brands buying ads through automated ad-buying firms. It is unclear when Instagram will be bringing the ad unit to self-serve advertisers, which include the vast majority of small businesses that advertise on the platform. The expanded format should come as a relief for the advertisers who have access. In the past, the constraints of Instagram’s Story ads forced brands to squeeze in as much as possible within a single image or 15-second video. Now, they have more breathing room to tell actual stories. The versatility of the new ad unit also offers new creative options for brands who advertise on Instagram. Because you can mix-and-match, you might start a carousel with a short video showcasing the product, followed by an image highlighting features or details, with a link to your website on the final slide. Or, you might create thematically related short-videos that complement each other. You could also just split a 45-second video ad into three segments across the carousel. “The goal is really to create ad formats that feel as native as possible to Instagram,” said Susan Rose, director of product marketing for Instagram. According to Rose, one-third of the most-viewed organic Stories on Instagram are posted by brands, and 60 percent of Instagram’s organic Stories are viewed with the sound on. While the expanded carousel gives you more room for telling stories with your ads, the individual limitations for each slide remain the same. The maximum length of each video is 15 seconds, and photos only stay on the screen for up to five seconds. Users can also swipe past the ad to skip it. To provide better insight into how these carousel ads are performing, Instagram says it will record analytics data for views and swipes on each post in an ad. However, the impressions for the ad will only be counted once when the ad is served.